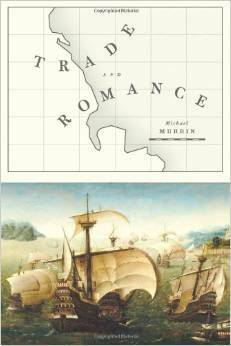 Michael Murrin’s Trade and Romance is a worthy successor to Fernand Braudel's celebrated study of the Mediterranean world, both in method and scope. He looks beyond what we have come to see as the fiction of Europe to the seemingly limitless expanses of Asia, its empty spaces and marvelous cities, its wondrous creatures and strange peoples. Tracing the paths of medieval and Renaissance traders – the voyages of Marco Polo across the Silk Route, of Vasco da Gama and the Portuguese in the Indian Ocean, and the English and Russian search for a northern route to China – Murrin explores the influence of their travels on the literary imagination. The dangers and difficulties of their adventures are refracted back in the quest genre of romance, and he teases out the traces of their travels in the work of a host of writers – among them Chaucer, Huon of Bordeaux, Boiardo, Marlowe, Camões, and Milton. We come to understand romance as a complex act of exchange and translation, a genre that preserves a range of historical references if we care to look closely. Murrin surveys the afterlife of these historical traces through his own travels to many of the places reached by medieval and Renaissance merchants. Immensely erudite, wildly ambitious, and written with great charm, Trade and Romance makes an unforgettable contribution to comparative literature, literary history, and the history of ideas.